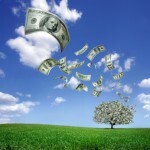 Who Says Money Doesn’t Grow On Trees?! This is an archived class with recordings of the 5 classes available for you to experience and participate in this work at your convince. You will be emailed each class 7 days apart and have teacher access via phone and email with comments and questions. You are meant to have full Prosperity, and you’re meant to have it with Ease. When you come into Who You Really Are, you come into your Empowerment—And you can create anything you want to experience. You are the Director of your life! What do you Choose to Experience? Financial Ease is available for you, yet there are many beliefs systems that may be blocking your Prosperity. Many of these beliefs come from your generational lineage and culture and aren’t even truly yours. You can learn how to clear these limiting beliefs out of your space so you can receive your rightful financial abundance in The Alchemy of Prosperity Course. After clearing the energies that are keeping your full prosperity at bay, you can tap into the Quantum Field of all Possibilities and create your abundance from the Power that you are. You have amazing untapped Potential within you! Create your Personal Power Field, come into the Truth of Who-You-Are, and transform your Life! The Mastering Alchemy tools and understandings that are always taught in the usual Creating Your Personal Power Field course will be an integral part of this web course. What is your Personal Power Field? Your Personal Power Field is a self-contained sacred geometry that surrounds you. Once reconstructed and activated (very easy to do) you have the ability to expand your awareness and create the new wiring system required to recognize and integrate the new possibilities you may not recognize as even available. This opens your ability to open and re-align yourself to have greater access to your higher wisdom and creative power. Join these two gifted Master Alchemists in this enlightening webclass and learn to manifest your Prosperity and live your life in Ease, Joy, Safety, and Love–for the Highest Good of All! “My husband commented that I was handling things differently, in a good way. I said I felt more myself than ever before. I am so grateful I took the Create Your Personal Power Field course.” p.f. CYPPF graduate. Are you ready for more in your life? Alchemy is changing one possibility into another.